Tatiana Motel - Fugalei - Located within the busy precincts of the Apia Central Business District with a quick access and walking distance (2 to 5 minutes) to the Fruits & Handicrafts Markets, restaurants and Bars, supermarkets and into the heart of Apia City. 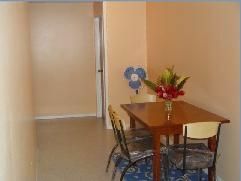 Ideally for those who like to be in town in the middle of all the hustle & bustle at quality and homely rooms at budget and affordable prices. 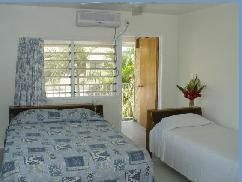 Tatiana Motel - Fugalei is surely the only "ONE STOP ACCOMMODATION CENTRE" in Apia, Samoa where you can find all the variety and type of rooms in one place in the Heart of Apia City. As a genuine Samoan family business, we are not only operating as a budget hotel and motel but also as Bed and Breakfast, Guesthouse and as Hostel, Dormitory and Backpackers type accommodation which is affordable and suit the budgets for all kinds of travelers. For first time travelers to Samoa, it is also an ideal and perfect place to use as a BASE to stay whilst planning and exploring the rest of Samoa. Tatiana Motel - Fugalei is in fact the only place in Samoa that you as the traveler has the choice of any room type in one place from the hostel, budget or backpacker's room to the midrange self-contained air-conditioned standard hotel room (ensuite) or an up market, quality Deluxe hotel room (ensuite) and with complimentary breakfast at affordable unbeatable prices. 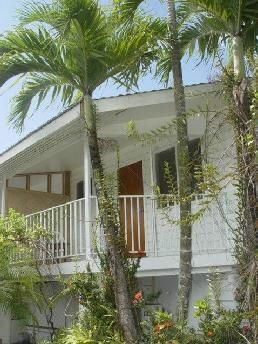 Tatiana Motel - Fugalei is located in the heart of Apia and situated at Fugalei's Main Street only 2 minutes walk to the Main Fruit Market and also the Main Bus Depot which are situated at the same area in Fugalei, Apia.